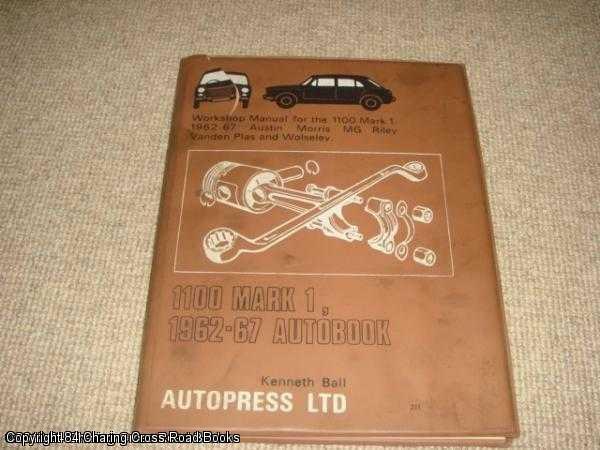 Description: Autobook, 1971. Revised Edition, Hardcover. Good Condition/No Dust Jacket. 9780851472119 Quite Good 6th edition 1971 Autobooks hardback with illustrations - slit to top edge of plastic covering to cover, some grubbiness to page edges, well-thumbed copy of a valuable resource. Sent Airmail at no extra cost; Quantity Available: 1. ISBN/EAN: 9780851472119. Pictures of this item not already displayed here available upon request.